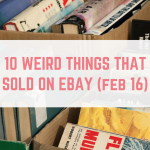 Every month I scour eBay to bring you 10 of the weirdest things I have found that actually sold that month. 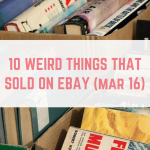 The weird stuff that actually sells never fails to amaze me – and motivate me to get my weird stuff listed. 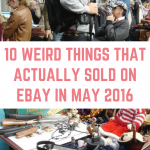 A massive thank you to Thrifty Husband who found all of June's weird sales for me. 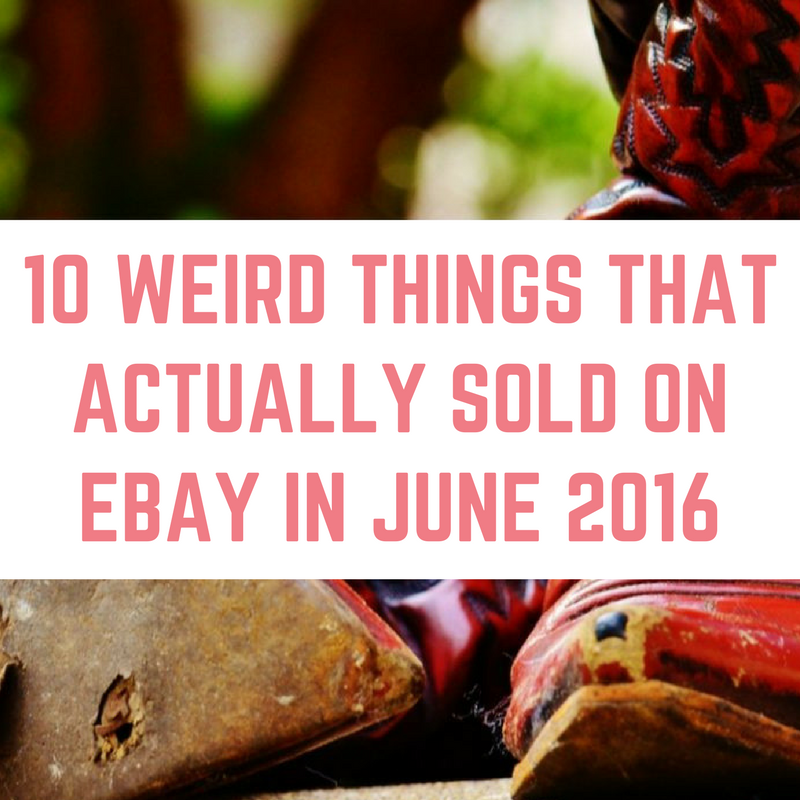 Let's get straight in to find what weird and wonderful things actually sold on eBay last month. Ribs are delicious, aren't they? But why would you bother trying to sell a recipe on eBay, and never mind it selling for just 6p. Was it really worth the effort? The Brexit result split the nation…and also led to newspapers selling on eBay for £6.49. It might be worth seeing if you have any left from results day. I have seen empty Yankee candle jars sell on eBay, but this is a new one to me. A Yankee candle….without the jar sold for £8 plus £4 postage. I am completely astounded about how much these used tights sold for – a massive £300! 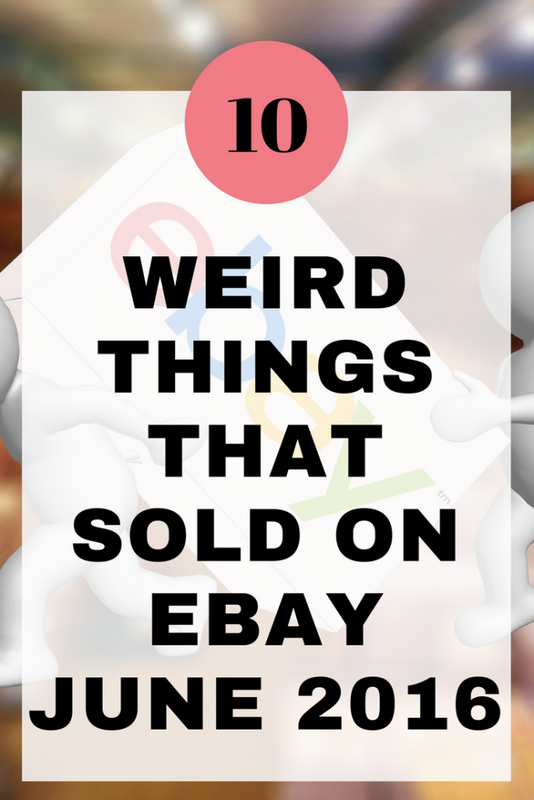 There is really big money to be made selling your smelly shoes on eBay if you can stomach the thought. When you list on eBay it is really important that you pay attention to detail. This seller accidentally sold their Porsche for £18 before successfully relisting it at £18,000. I would love to see how they got out of this sale. 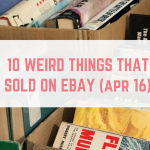 Bundles of clothes selling on eBay is nothing new, but these bundles of damaged clothes are fetching £15 – proof that anything does sell on eBay. If you are someone who likes a punt on the horses or football, did you know that you can even sell betting slips?!?! I didn't! This one sold for £1 plus £1.20 postage. At the time that this left over holiday currency sold it was worth £55-£58, not the £62+ that it sold for! If you are looking for a new business idea then can you get any better than a pet rock? This one sold for almost £20! This empty Monster can went for £12.05! Wow it’s funny what you see on eBay, isn’t it?! Apparently someone recently sold a ‘jar of air from the Stone Roses gig at Etihad stadium’ for quite a few thousand! It had an ‘authenticity certificate’ too! Are you allowed to use other people’s photos in a blog? When you get their permission, yes. I’m off now to rummage through the wardrobe for worn tights. £300! I thought it was odd enough when I sold a bundle of worn maternity bras for about £20.